Welcome to the Thornham St John’s Neighbourhood Forum website. Forum members are individuals who either live, work or regularly pursue leisure activities (walking, horse riding, cycling, ornithology, fishing, etc.) in the Slattocks/Stakehill and surrounding area. Members of the forum are all connected to the daily life of the neighbourhood and are keen that any changes in the area are beneficial to all. If you support our aim then please do join us and tell us what you think to help make the Thornham St John’s neighbourhood the best possible place it can be. There’s no fee, no commitment and no onus on you to do anything. All we ask is that you share our vision of making Thornham St John’s neighbourhood a great place to live, work and play! You have from today (25th March 2019) until 5pm 6th May 2019 to send in your comments on the official designation (recognition) of the Forum and Area. Click the link below to view details and some suggestions for your comments. Shocked resident heard of the extent of proposed Greenbelt loss in the revised GMSF on Saturday 2nd February 2019 at a meeting in Thornham Cricket Club. Many were shocked to hear that the revised GMSF plan is still looking at taking a large area of local Greenbelt. 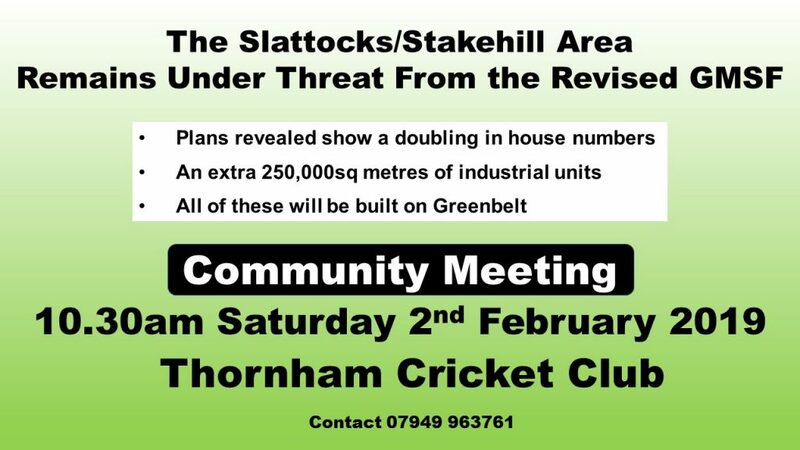 The local allocation [GM 2 Stakehill] if it goes ahead, will see the building of 900 new houses and an extra 250,000sq metres of industrial units swallowing up the fields around Chesham Estate, Slattocks and Stakehill. The area stretches across to Chadderton leaving a ‘corridor’ of Greenbelt between Thornham Lane and the A627M link road. The Greater Manchester Combined Authority, which comprises the 10 local Councils, will shortly publish the much awaited consultation to the revised GMSF. Every local resident will be able to comment on the plan between 21st January until 18th March, a period of eight weeks. Comments can be made online [details to follow] or in writing. 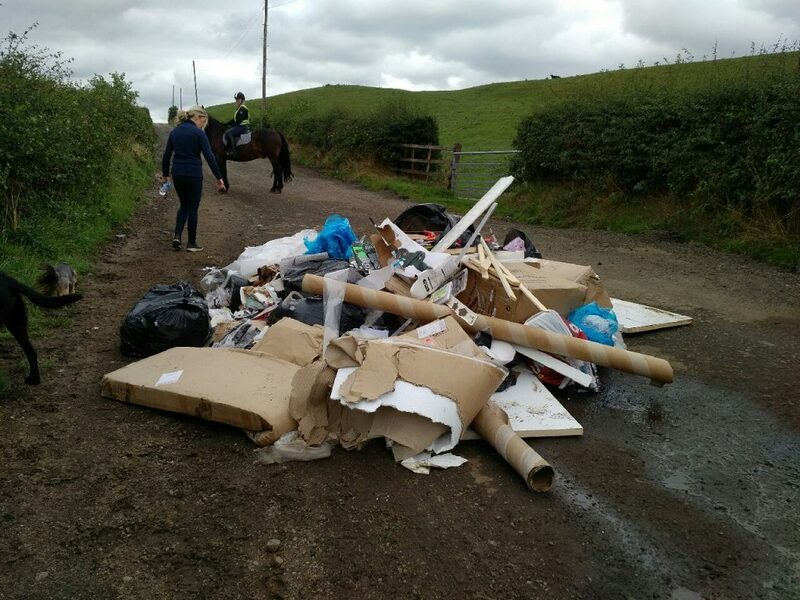 Anyone using the local lanes, footpaths and bridleways will have seen piles of fly tipping from time to time [see photos below]. Nobody likes it. – unscrupulous builders who don’t want to pay at Council tips. – drug growers needing to get rid of old plants. For some reason, ordinary household waste is dumped – why? 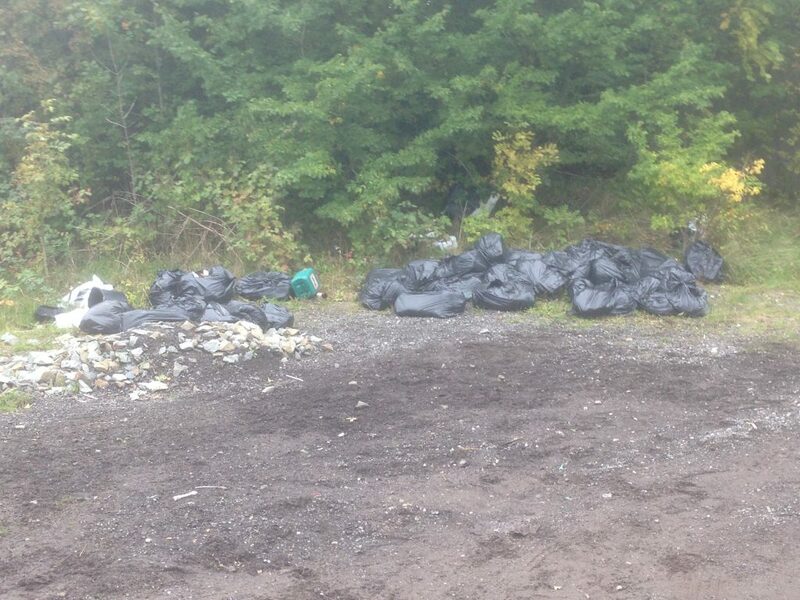 Are people using a company vehicle to dump their household waste? 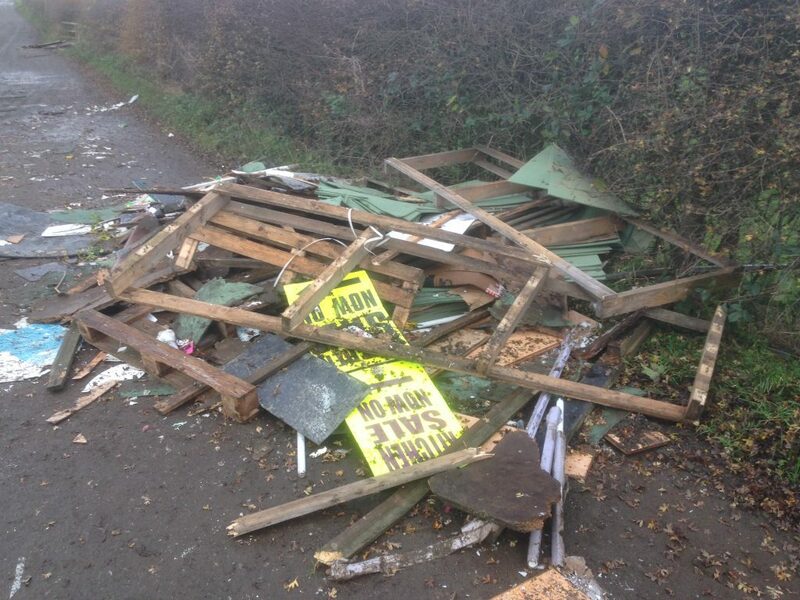 Please take photos of fly tipping and a note of the location, then report it to the Council. Many thanks to all those of you who completed the TSJNF Survey, whether that was on the paper copy posted through your door or the online version. Many thanks to Councillor Sheerin for his time and also Rama, the Manager at the Norton Grange for providing the prize. Very much appreciated. Houses: Is there a Crisis or Shortage in England? Many people have said there is a shortage of houses across England. Some say its a crisis. Have a read and make your own mind up.